Healthline’s 18 Best Weight Loss Blogs of 2014, May 2014. Fitness Magazine “Exercising During Pregnancy,” May 2014. 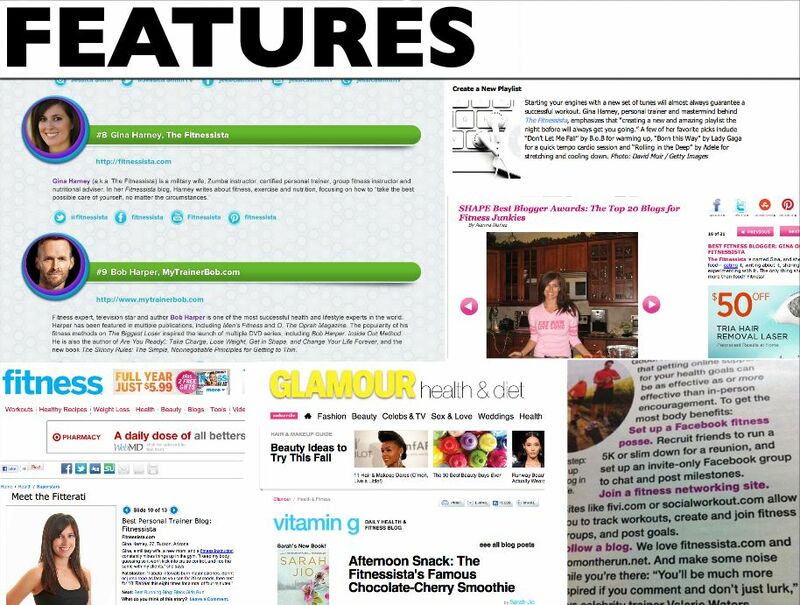 Ladies’ Home Journal “Flat-Ab Secrets from Health Bloggers”, March 2014.
zulily’s 10 Favorite Health and Fitness Bloggers”, January 2014. 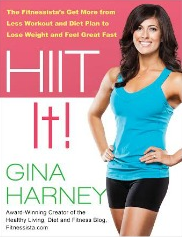 Blisstree’s “10 Best Fitness Blogs for Women,” June 2012. We’d love to partner with you. For starters, we can send you a free box. And we can also reserve another box to give to your followers if you’d like. If you’re interested, please let me know! I wanted to share about why running is important to me. I also struggle with running. The first three miles are always the hardest. My mind and body fight with me to stop or cut my runs short. Running is a great time to clear my head and really work out whatever may be on my mind that day. I always feel energized when I am finished. I love the sense of accomplishment I feel after a tough run. Accomplishing a running goal such as a half marathon always makes me feel strong both physically and mentally. My husband always says that I am a better person when I am on a consistent running schedule. Running is a very personal achievement that just makes me feel like I am healthy, happy and strong. Hi Gina, stumbled across your page a couple of weeks ago and LOVE it! Very inspirational and especially love the baby/family posts too 🙂 Can you please tell me what brand of GF oats you use? I live in New Zealand but have family members that travel to the US frequently to buy for me. Hard to come by here and very expensive!! I am a chiropractic doctor in San Diego, California, and the inventor of the Kore Power Trainer, a device which can be attached to your bed and used to train your entire core quickly and efficiently by using your own body weight as resistance. I came across your website and have started sending some of my patients to it for ideas for home training. I really like the way you develop quick routines that people can use in their own home and without the need for a lot of equipment. That’s exactly my focus and Kore Power Trainer enables you to get a super intense core core workout in 4 minutes without leaving your bed. I’ve just started bringing them to market and I’m looking for people like you to evaluate the product and to give me feedback. I would love to send you one. Check us out at: http://www.korepowertrainer.com or type in “Kore Power Trainer” on Facebook or on YouTube to see our videos, and if you are interested, send me an email with an address where I can send you a KPT. Take care, and thanks for doing what you are doing at nerdfitness.com. Hello Gina, I love your site because it has that personal approach. Please don’t succumb to commercial influence ever. Anyway, I was just reading through the comments and saw Nicole’s post about running. I used to do a lot of running (even participated in a couple of marathons) but my knees kind of gave up on me. I got into swimming and it worked wonders for me because it allows for the same whole body workout while minimizing the impact on my joints. Maybe you can also try the same Nicole if you are having problems with running. Just a thought. Cool! When did you update this page? I just noticed. I live in Florida so my fave winter workout gear would be…my running capris. I have a question. Are melaleuca access exercise bars healthy for you? They are patented and are supposed to burn fat if you eat 15 min before working out. I have been eating one before I work out, but I want to know if they are healthy because of course the person who sells them to me is going to tell me that they are. THank you! Love your blog and the amazing recipes! Hi, I also want to do your Summer Shape up and receive your newsletters (passwords). Will you please sign me up? Thanks! I just had a quick question. I have a habit of getting bored with the same gym routine everyday, so I tend to switch it up pretty often. I generally go 6days a week for 45-90min. Does it make any difference in terms of fat burn for my body to do the same routine everyday or to be constantly changing the activities/equiptment? Thanks so much! Love the blog and the simple tricks! I love your blog and would love to get your newsletter! I love your blog! Please sign me up for your newsletter! My name is Michael Barbuti and I work for a company called MRM-USA, I read your blog and I thought it would be a great idea to send you some product to try out. We recently just created a Non-GMO veggie protein that is completely Vegan friendly. I was wondering if it would be possible for you to do a review on our product. Thanks! Obsessed with your blog. Please sign me up for the newsletters. PS- did the monsoon workout on Monday, still sore! I absolutely love reading your blogs and would be pleased to receive your newsletter ! Please sign me up for your newsletter! I love your blog! Hi, you mention using a “bag of corn” for your tamales, yet you don’t mention the amounts of any of the ingredients. Can you specify these amounts and send me an email. I am from Tucson Ariz. and remember my Mom and Aunts making “green corn tamales” and I have lost the recipe somehow after all these years. Something interesting—I too used to love Menudo until I was about 8 years old, then asked my Mom what was in it and that was the end of my Menudo eating days. All the relatives would gather on New Years Day and eat Menudo, tamales and lot’s of other “memory making” dishes. Thank you so much for your wonderful post on Tamales, just need to know specific amounts. Sounds like a winner of a recipe though. 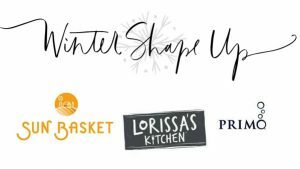 I’d like to receive your newsletter and am looking forward to checking out the knockout November workout calendar! Ok. I just saw where I could check the box. Can I get the Nov password? Thanks, Gina! I would love to receive the newsletter and the November workout!! Love your site and mission, Gina! 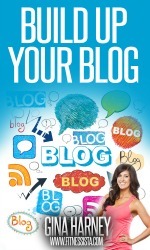 Do you ever post guest blogs? I would just like to be emailed your latest posts. Is this how I subscribe? Just wanted to sign up for the news letter. And any good recipe ideas for Super Bowl? Hello, my name is Matthew Featherstone. I represent the innovative sock company Thirty 48 otherwise known as the sock geeks. We specialize in performance socks and sleeves for running and cycling. We are looking for a few strategic social media partners who have the same passion for running as we do. We would like to know if you would be interested in brand integration on a social media post. Please let me know if you are interested in discussion this opportunity. options for ice packs and iPhones storage. as well as partnership opportunities.